Public companies will face tougher laws and increasing regulatory scrutiny from Washington in the coming year, warns Jeff Morgan, president and CEO of the National Investor Relations Institute (NIRI). “The landscape is changing and will continue to change … It’s a whole new world,” Morgan said. With the change agenda of the Obama Administration influencing all areas of regulation, companies should evaluate their IR practices with care – and join in advocating for balanced, sensible policies – he said. From the SEC, Morgan said, we can expect to see enforcement cases in the next year centered on Regulation FD issues of selective vs. broad disclosure. Change is coming in the proxy area, too. Both the SEC “proxy access” proposal and elimination of broker voting for passive shares are likely to give more power to activist shareholders and pose challenges for companies, he said. Morgan said the SEC also is looking at requiring enhanced disclosures on board of directors’ leadership approach, board nominations, compensation philosophy and practices, and perhaps nonfinancial factors such as climate-change impacts. Transparency has been a theme for President Obama from the start. As the idea takes shape in legislation and new regulations, it may benefit IR people looking for more insight into hedge funds and less-regulated areas of the investment markets, but it will mean more demands on public companies, too, Morgan said. 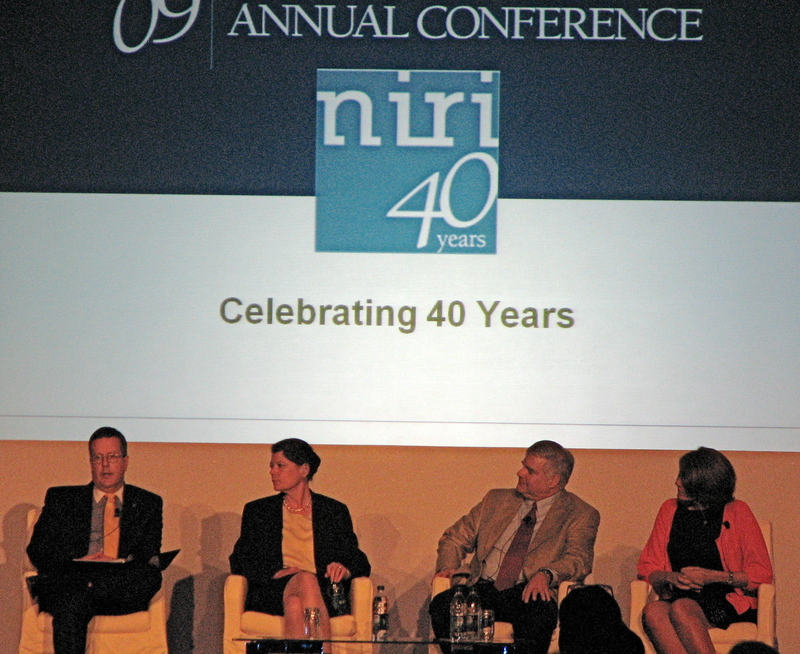 “Corporate transparency is big on Congress’s agenda,” the NIRI president said. This entry was posted on June 8, 2009 at 12:29 pm and is filed under Regulatory & SEC issues. You can follow any responses to this entry through the RSS 2.0 feed. You can leave a response, or trackback from your own site.